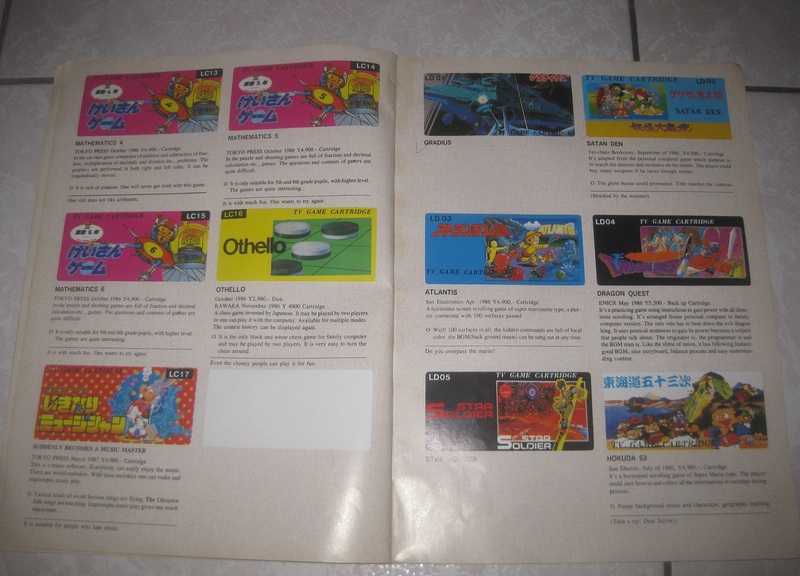 Back in June I had been browsing through some pictures and I stumbled upon one of what appeared to be a Famicom or Famiclone. 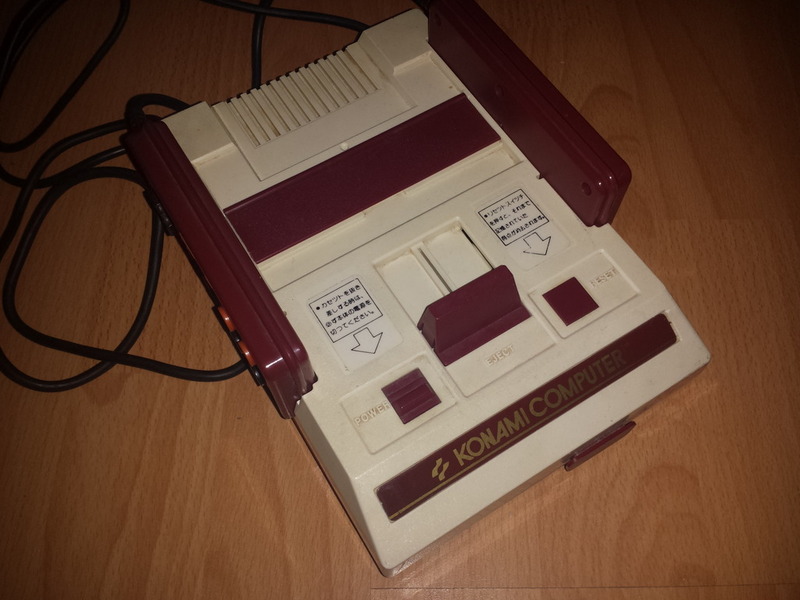 It looked similar to the traditional red and white machine that we all know and love, but displayed on the front was the Konami logo, along with the words “Konami Computer”. Otherwise, I didn’t receive any information about the machine itself. All I know is that the pic have shown above was taken by donnyf88, and the machine belongs in his collection. I may try to reach out to the owner at a later point to see if I can get more information about the machine, but I think it is likely that there is little evidence of a concrete nature to exist for such an exotic item as this. 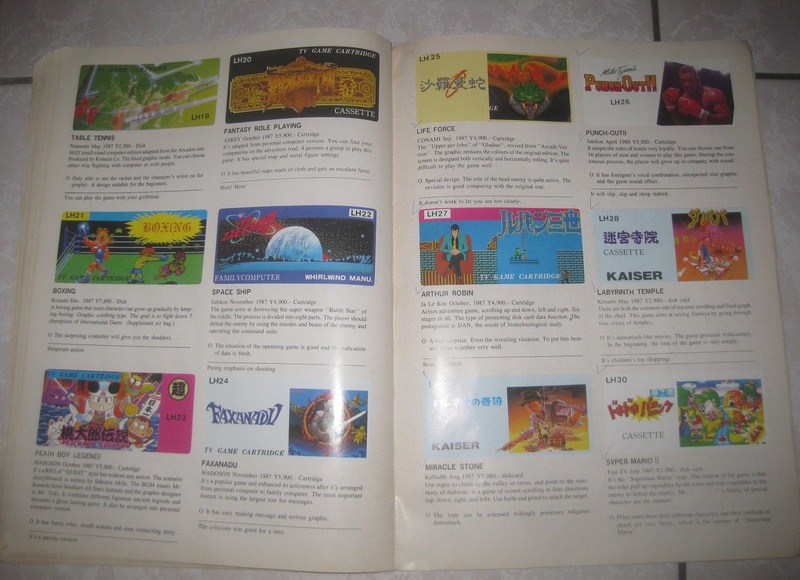 I asked some others if anyone knew anything about this particular machine, but aside from seemingly being a Famiclone, there was nothing else known about the device. 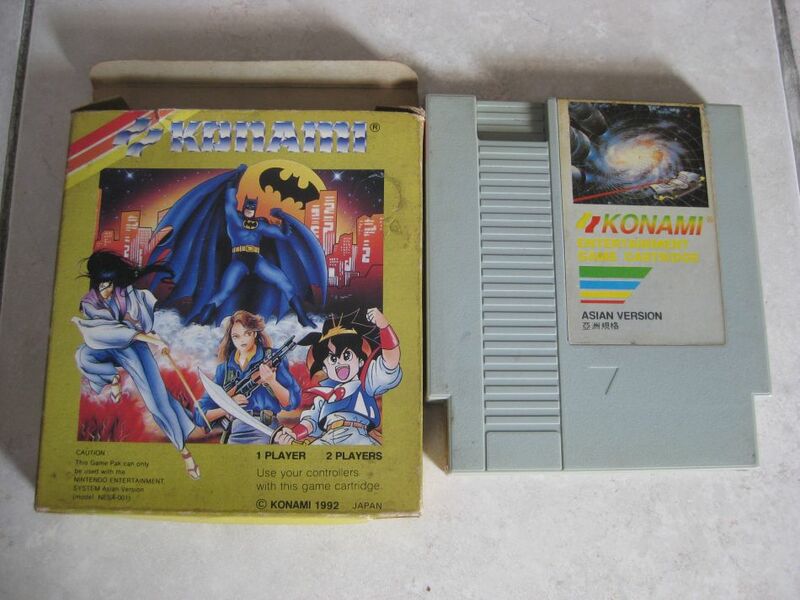 My initial thought was that the console was made by the same folks that made the “Konami” series of bootleg NES games, such as the one show below (picture once again stolen, and this time I don’t remember where I got it from, sorry). 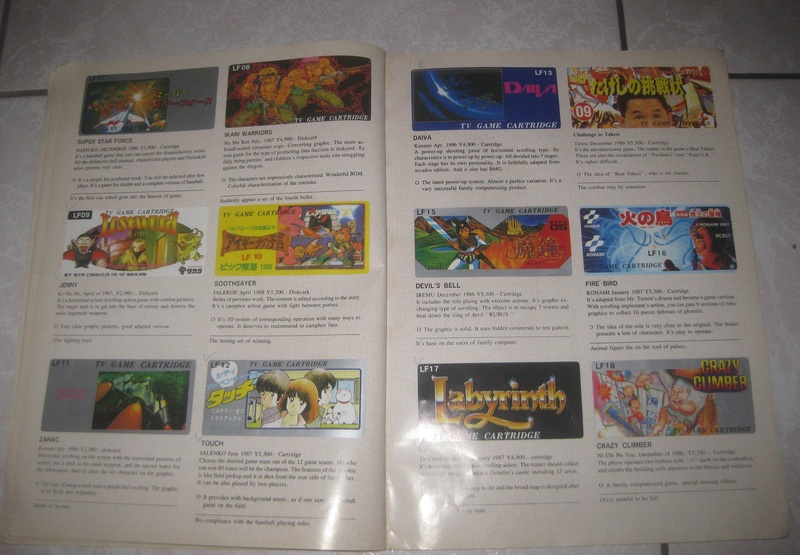 Games like this were quite often sold in countries such as Indonesia, and IMO the same folks that produced these games were probably also related to Spica and Supervision, other bootleg brands that were commonly found in Indonesia. 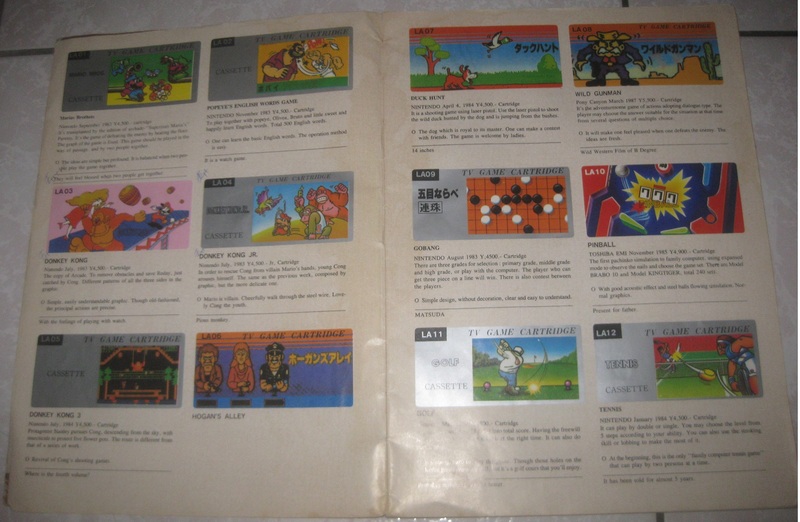 The question still remained though, as to why the game cartridges (72 pin versions) would not match up with the machine (60 pin machine). I just chalked it up as another one of those questions that would never be answered, as is the case with a vast majority of these obscure items. 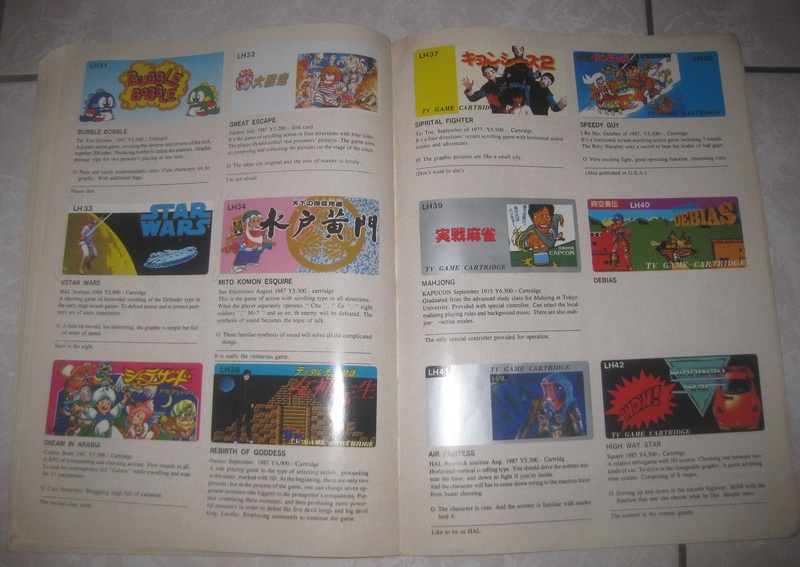 But I accidentally ended up with a potential answer (and even more questions) to my question, last weekend, after purchasing a lot of Famicom boots. When I first received my bag of goodies, I was quite excited, as there were a lot of interesting items in the set. 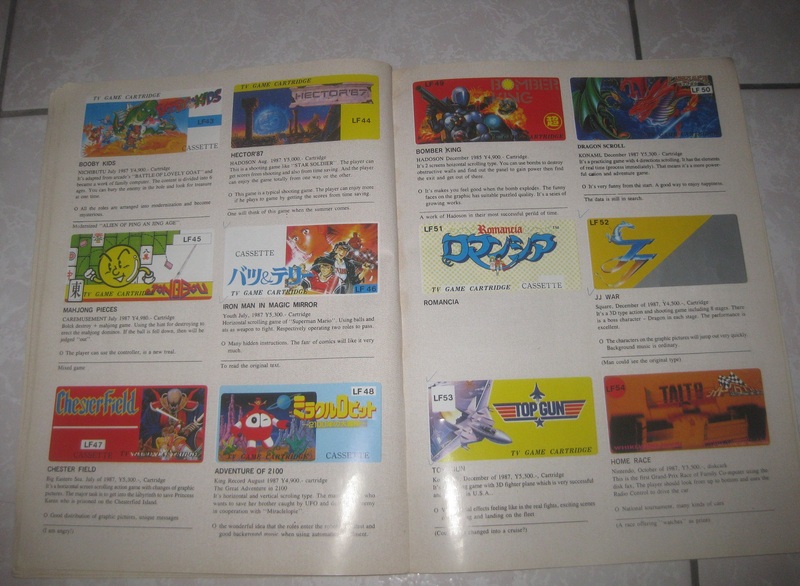 My excitement soon turned to horror though, as I started testing the games and discovered that a quarter of them were duds. 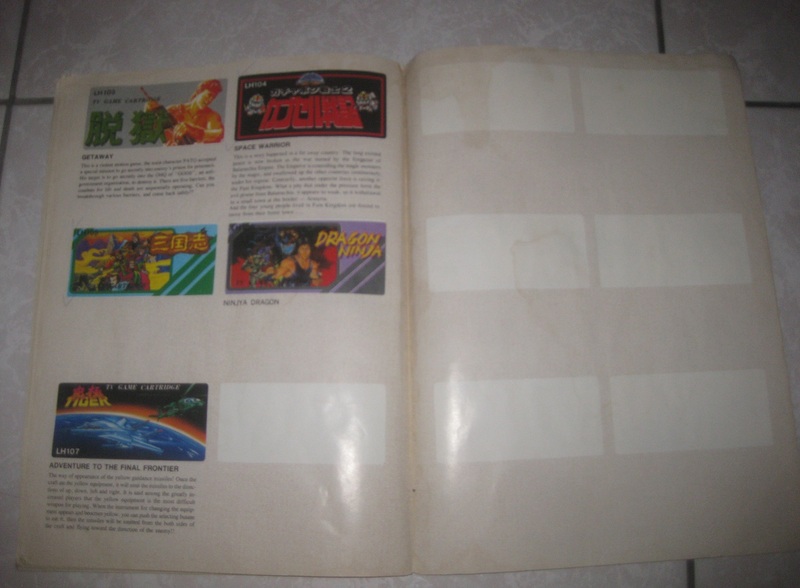 At that point I decided to start opening the games one-by-one to clean them, and fortunately after removing layers of grime and dirt, I was able to revive a lot of the games. During this tedious process was when I made a startling discovery. 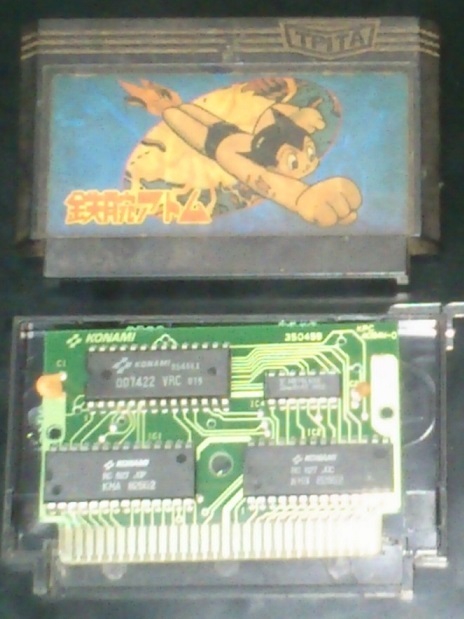 I busted open a Tetsuwan Atom game cart for cleaning. 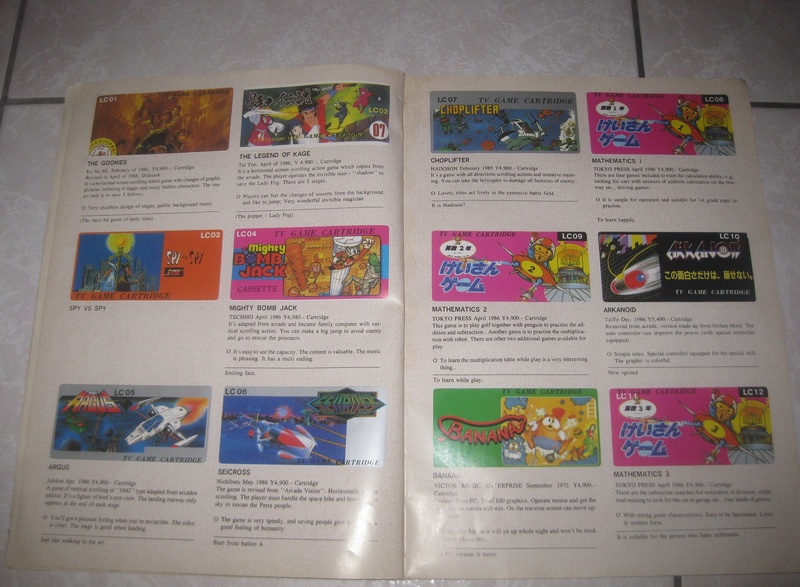 The shell itself was generic one with the nonsensical word “Tpita” on the front, and “Toito Corporation” on the rear. Even more shocking was the contents held within. 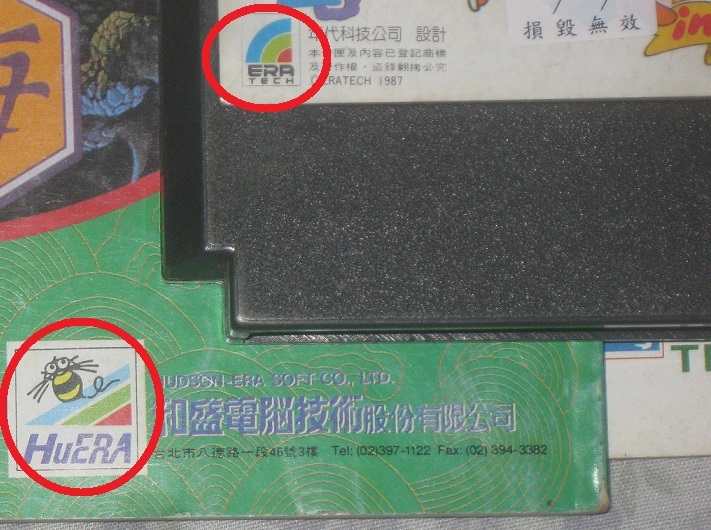 The pcb itself was stamped with Konami’s logo, and so were the rom chips. 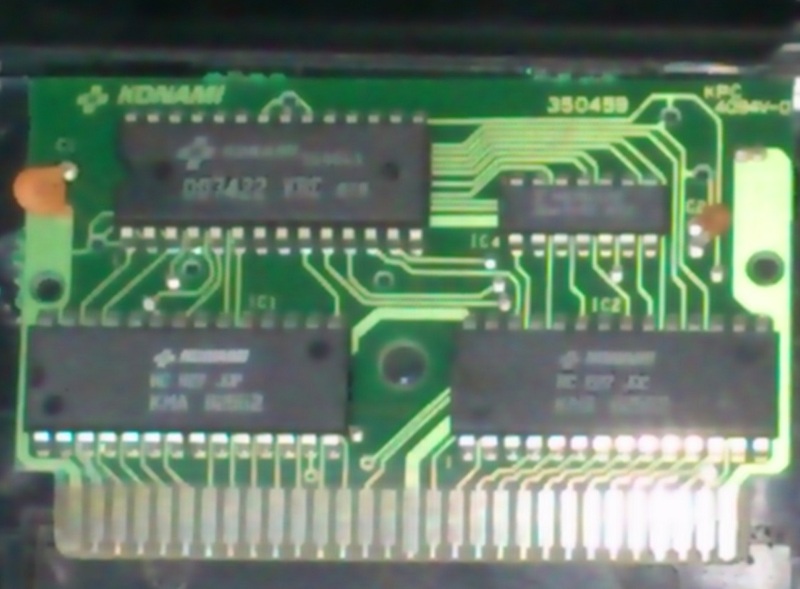 To my untrained eye, the board itself appears to be 1:1 identical with the official Konami board, and although the chips have some variation to the ones pictured on Bootgod’s site (check it out here), the chips on my cartridge also have Konami logos stamped, as well as ID numbers similar to the official chips. Sadly my scanner is broken and my digital camera is also kaput, so all I can display at the moment are some crappy phone camera shots. But this discovery provides few answers and even more questions. 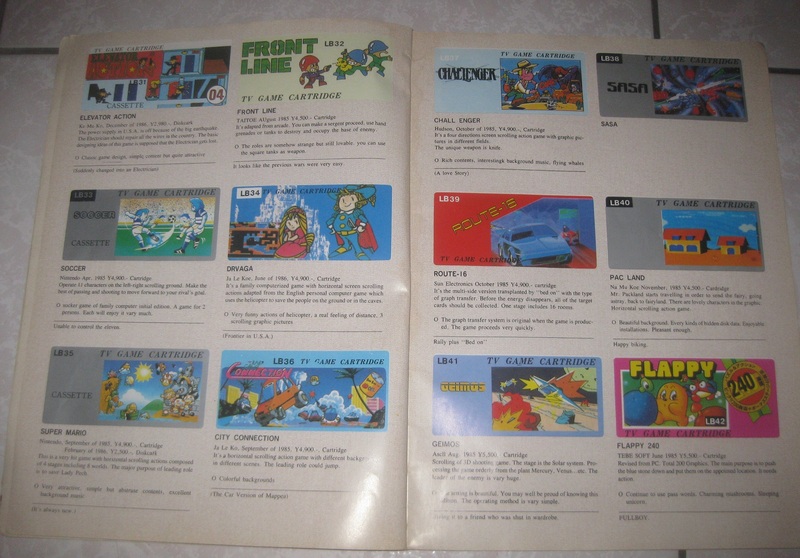 The items that are worth discussing (imo) are as follows: (a) whether the board / chips themselves are real, (b) whether this cartridge was designed for use on the above Famiclone, etc. 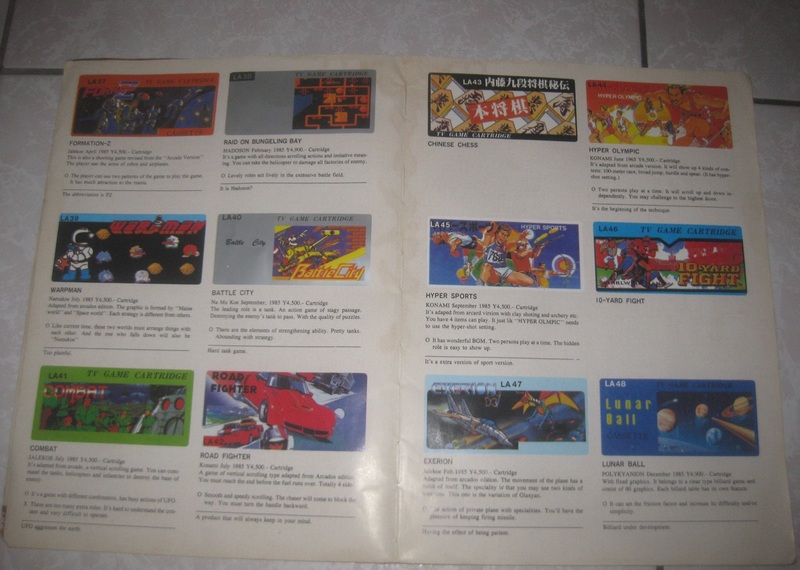 To address the first question, it seems plausible that the circuit board is a legit Konami board. 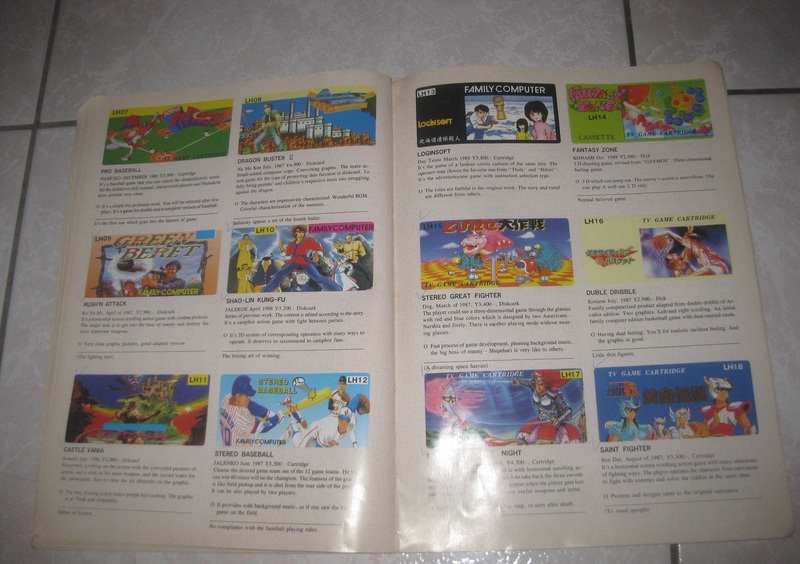 Maybe Konami outsourced their cartridge production to a Taiwanese manufacturer, and the same company produced extra pirate versions after hours, to increase their profits. 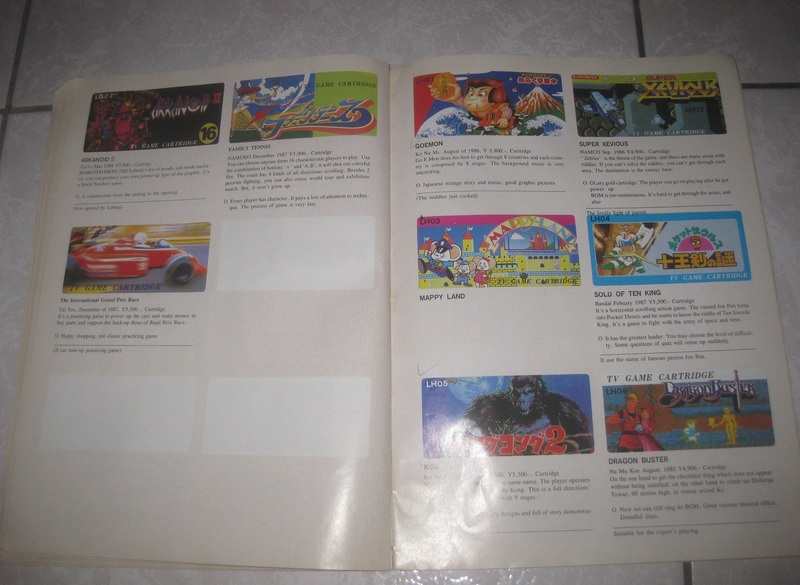 For all we know, Konami themselves might have produced these carts, sort of like generic brands of cereals being produced along side their well-known kin. 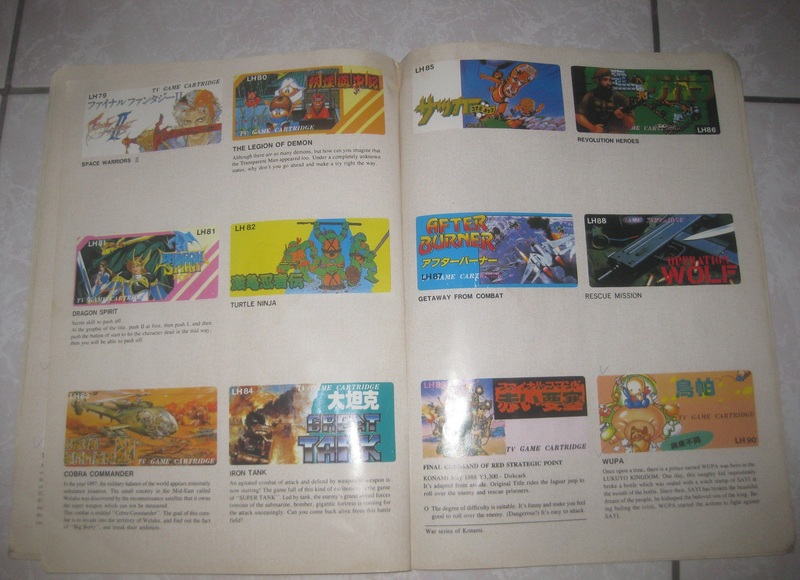 Konami had some sort of dealings in Taiwan during the 1980s and 1990s, up through the modern times, so it is within the realm of possibility. 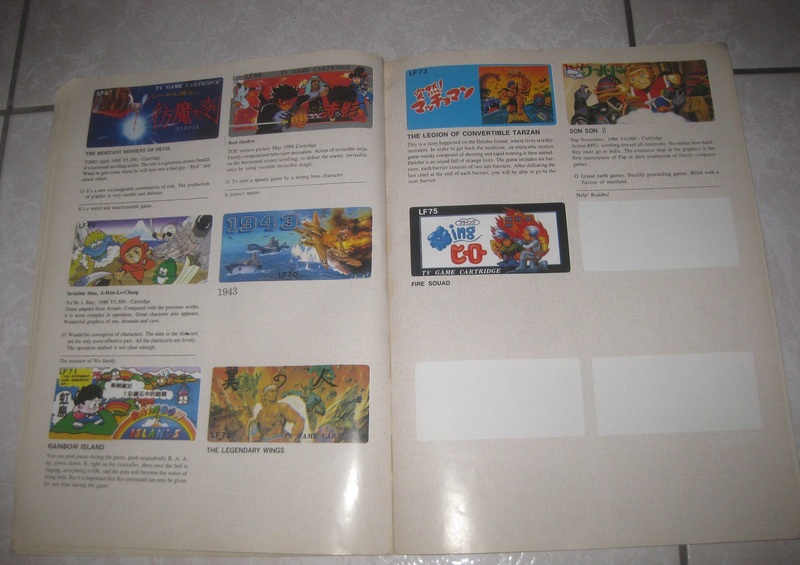 As mentioned above though, the codes on the ROM chips do not match up perfectly with the ones shown in Bootgod’s database, despite the fact that the chips in my cart are also stamped with Konami’s logo. So maybe these chips are real chips, maybe not. 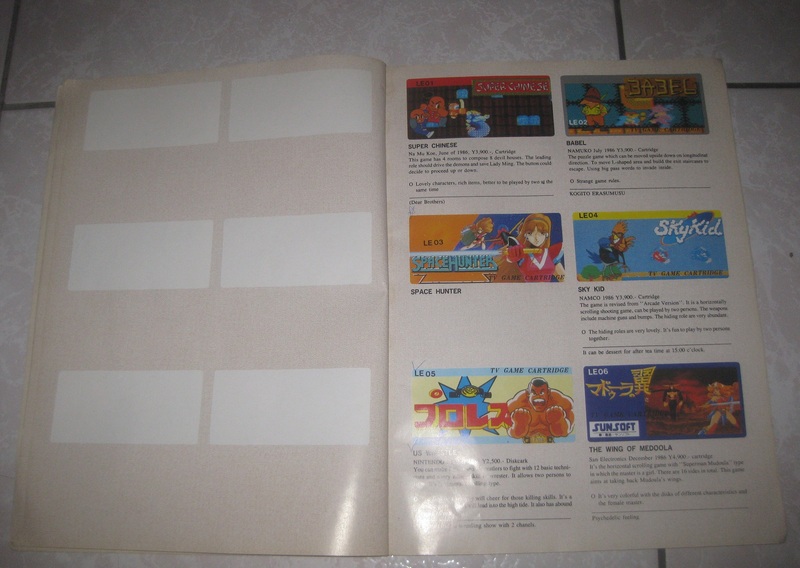 Maybe Konami ordered the production of this product under the table, or perhaps the guys at the company just decided to produce bootleg games using the (official) parts they had sitting around. We’ll probably never know for sure, but either way, the shell is not legit. 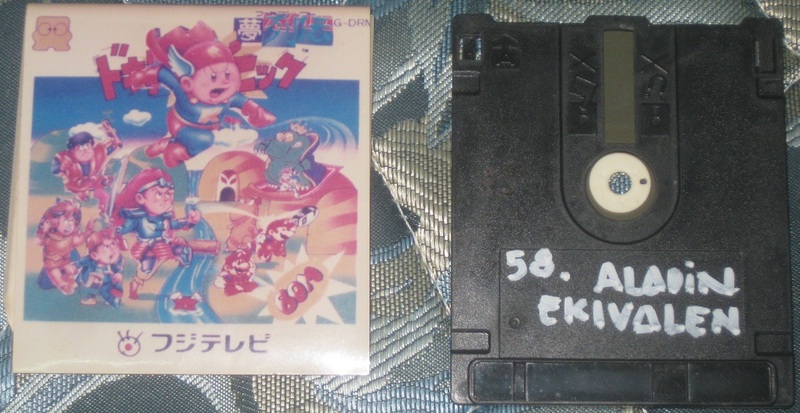 That leads us up to the second question, whether this cartridge has any relation to the Konami Famiclone. 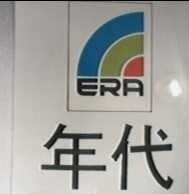 Sadly, once again there is no concrete information, and only pure speculation. 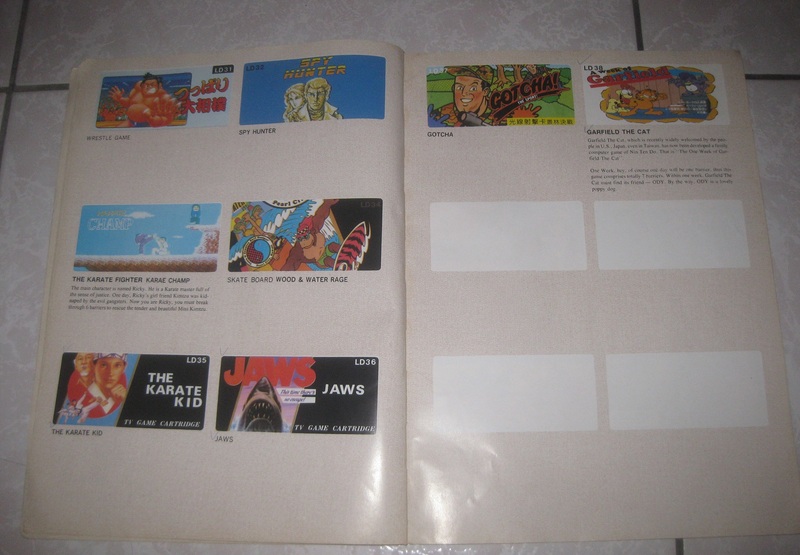 Initially I would have guessed that there may have been a relationship between the two products, but after seeing that the Famiclone game I have seems to be a duplicate of the official item, it makes the issue become a bit odder in my eyes. 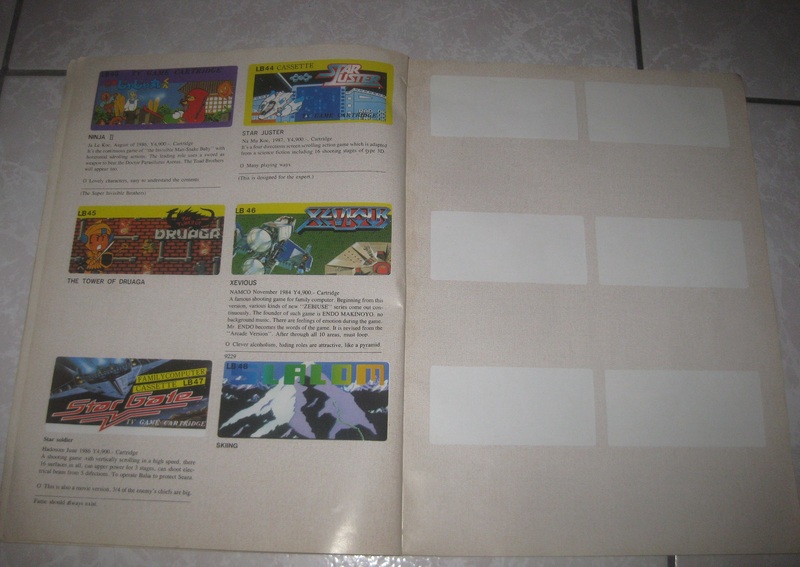 If Konami were producing a second, illicit run of games, I think it seems unlikely that they would be so bold as to also display their logo on a Famiclone. So I really don’t know what the true story is, but I am sure it must be a pretty interesting one. 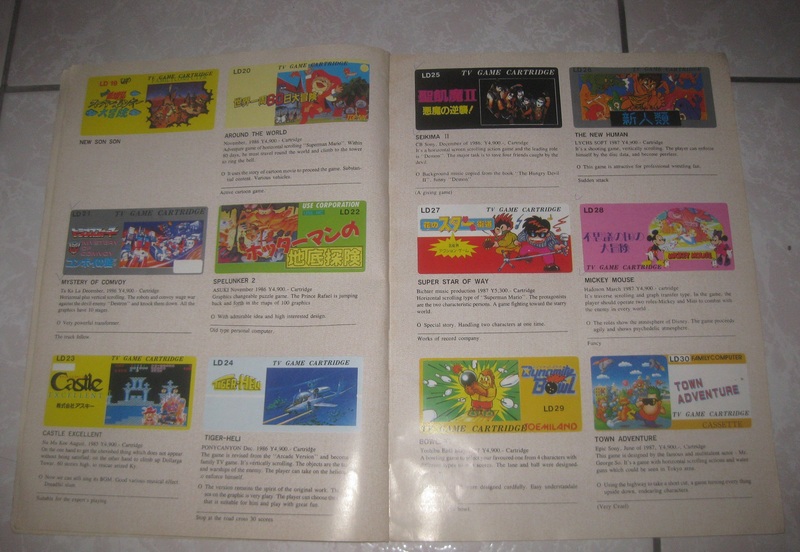 Those that are closest to me already know that the bane of my existence in the vast sea of Famicom goodies is that infamous little add-on, HVC-022, the Family Computer Disk System. 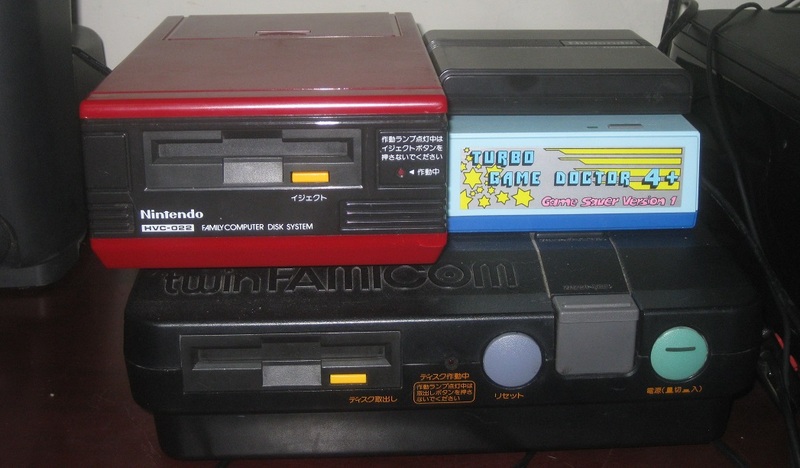 Although this extension of our beloved red white machine might have also received attention and praise during its initial launch, the Famicom Disk System (FDS) can be compared to the stereotypical sunbathing, chain smoking, tattooed beauty of our youth; when we run into them unexpectedly at the supermarket, twenty years later, they fail to impress with their yellowed teeth, alligator skin, and the unintelligible remnants of what used to be a dragon tattoo. 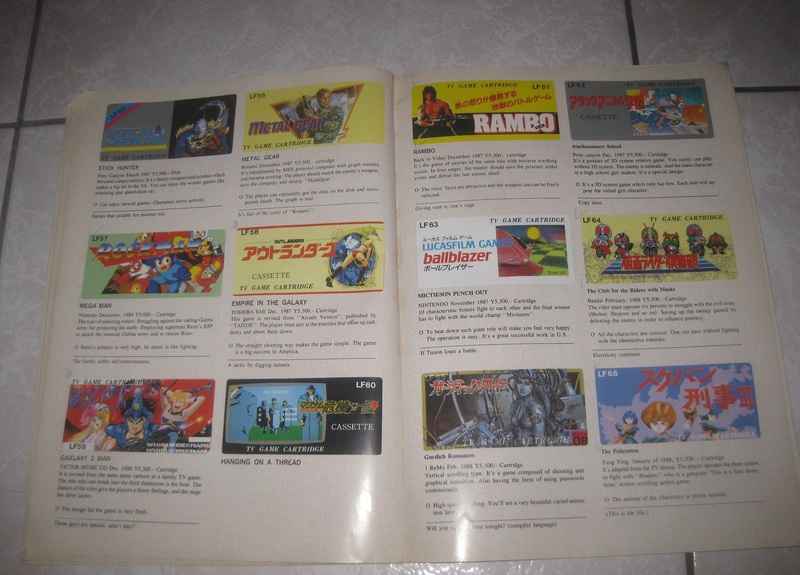 That, my friend, is what our Famicom Disk System has become. Broken belts, misaligned magnetic heads, corrupted disks…these are all ailments that the FDS constantly suffers. Last week I spent several minutes realigning the magnetic head on my disk machine, and although the results were excellent in the beginning, by the time I moved away from plain vanilla disks and started throwing bootlegs and unlicensed crap its way, the machine choked and started sending me constant error messages in return. 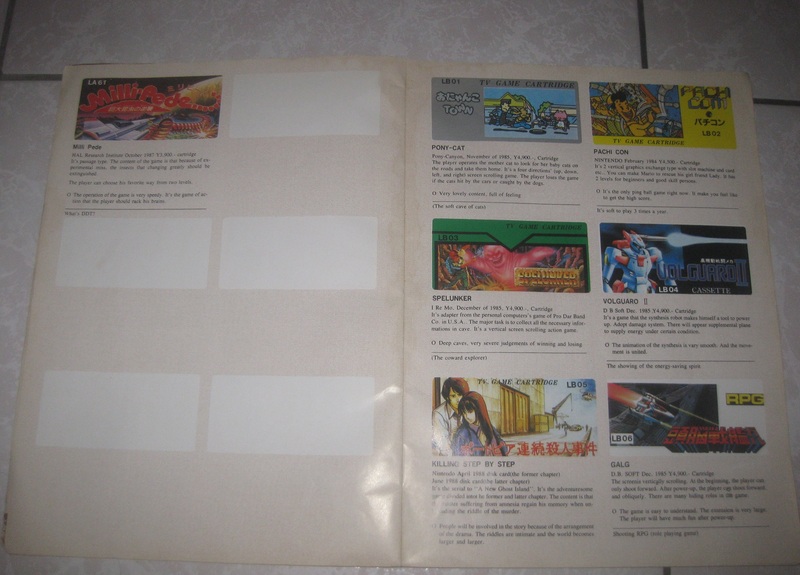 With cartridges, I never have these problems, and I am never left in the awkward position of trying to guess whether a game disk is just acting finicky, or whether it has actually gone bad. 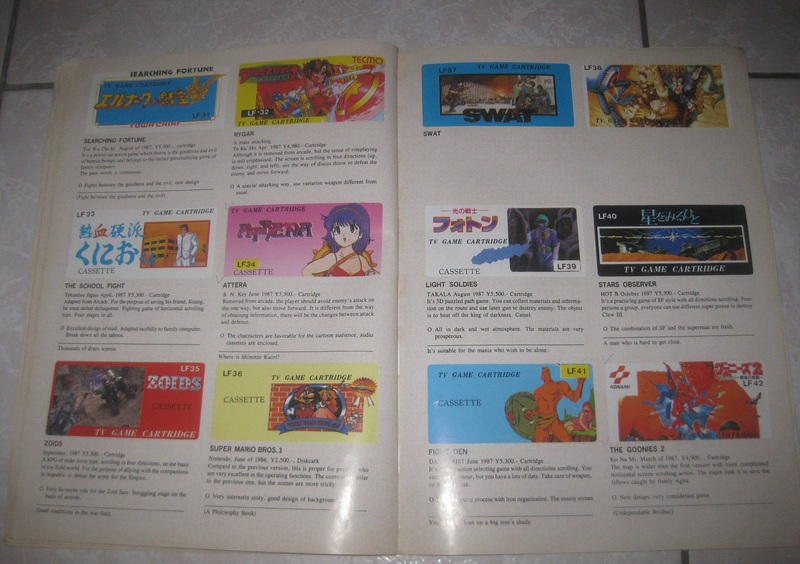 Ick, these failings easily make the little Famicom disks my least favorite part of the whole Famicom game library, despite all of the hidden gems tucked away so nicely on those little floppies from yesteryear. 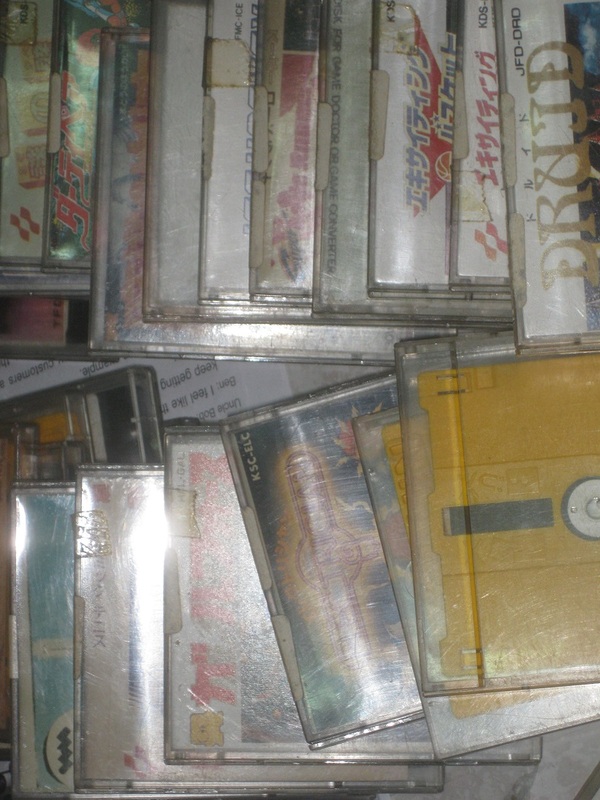 Approximately two years ago I obtained around 40 or 50 different copied disks from a guy located in Indonesia. 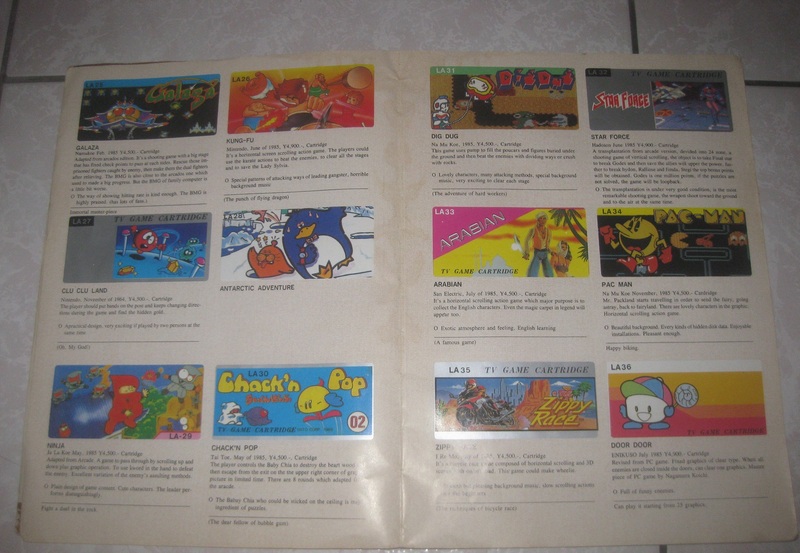 The games were all labeled with numbers on the top of their plastic cases, as well as on the disks themselves. 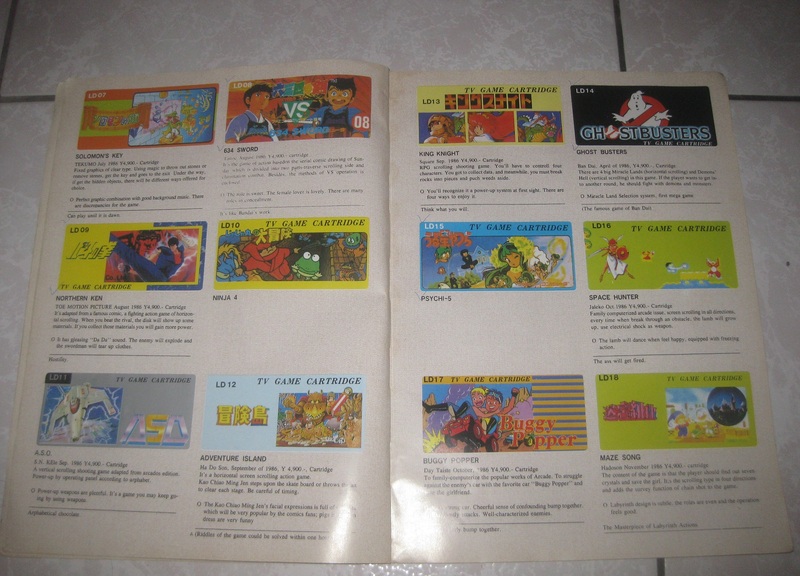 Artwork was also printed out with care, and stuffed in with the unlawful games. Were these being used for rental? Private consumption? It was hard to say, all I knew was that I wanted to add these to my collection. A few weeks later, a package arrived from my contact and I eagerly perused the stash that I bought. 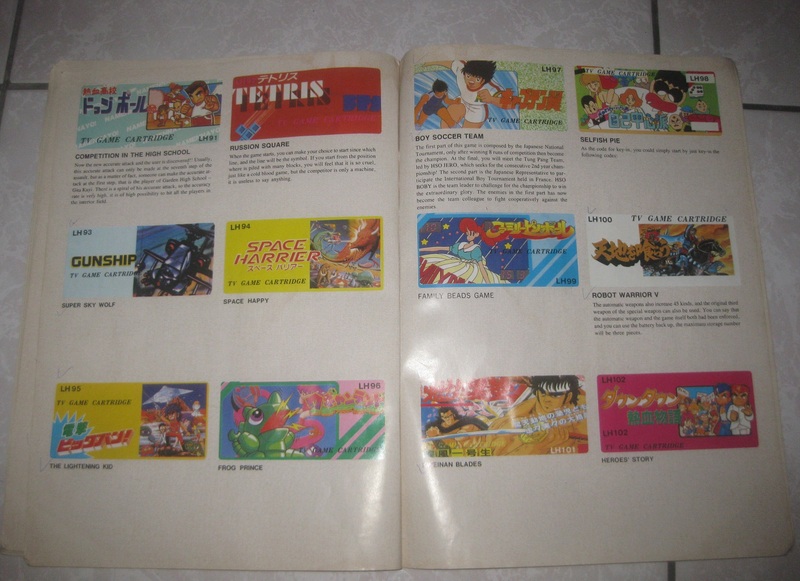 Mario 3, Tetris, Crackout…it was all here. 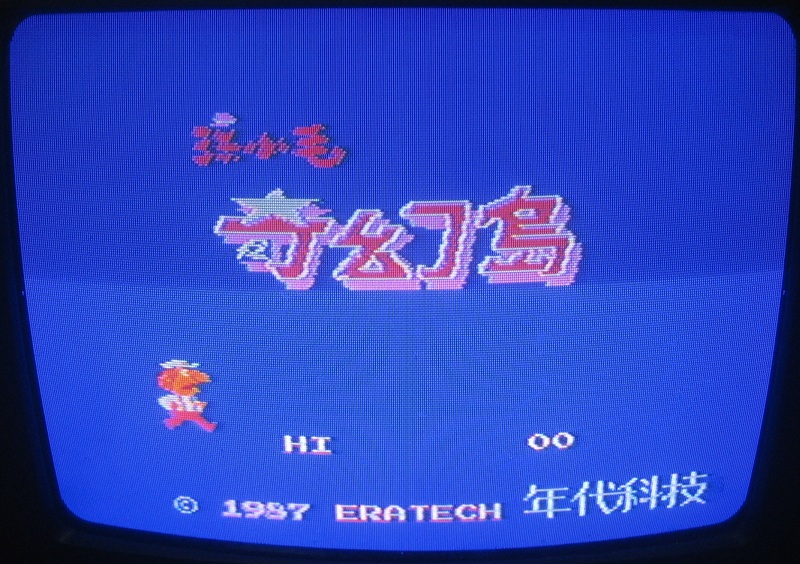 I grabbed my first disk, stuffed it in my twin Famicom and voila! I just whipped myself into an error message! Rinse and repeat. I must have tried to get half of the disks to run; my anger grew as the disk system starting spewing out exotic error messages, each being stranger than the one previous. 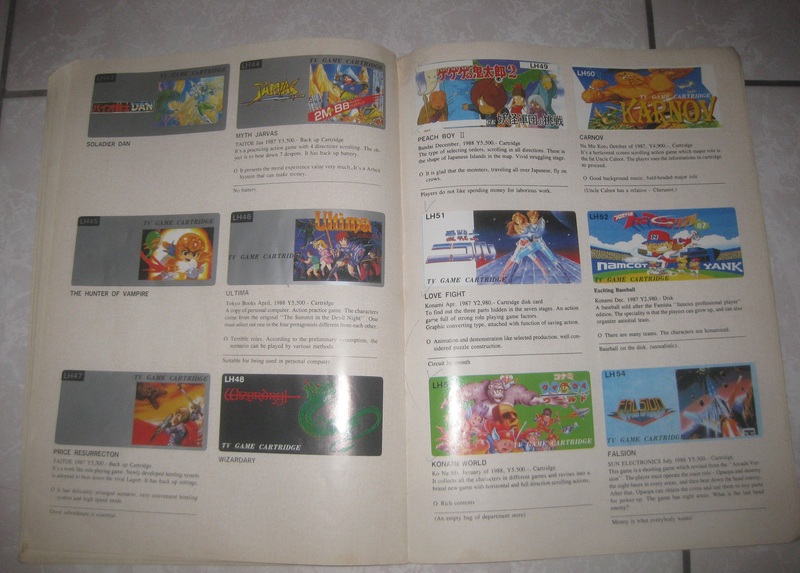 At this point it dawned on me that I would need some sort of disk copying device to run these game. 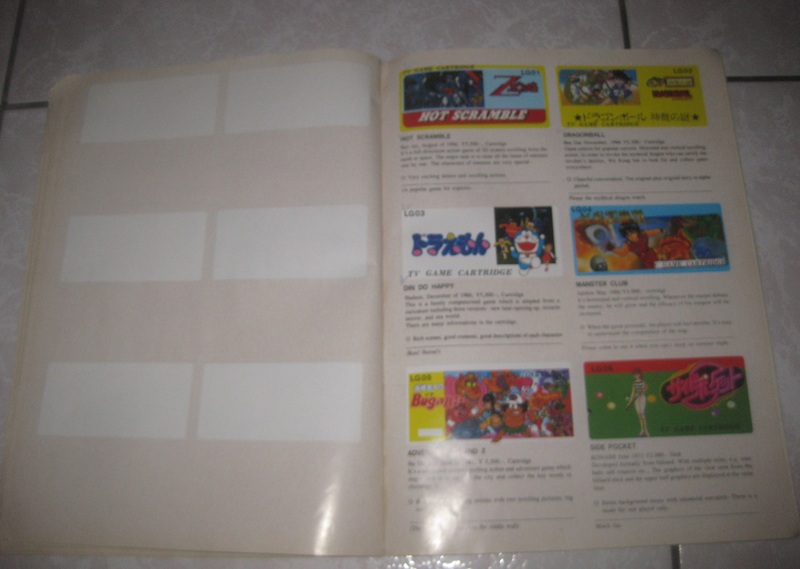 Sadly, finding such an item for Famicom-era is easier said than done. 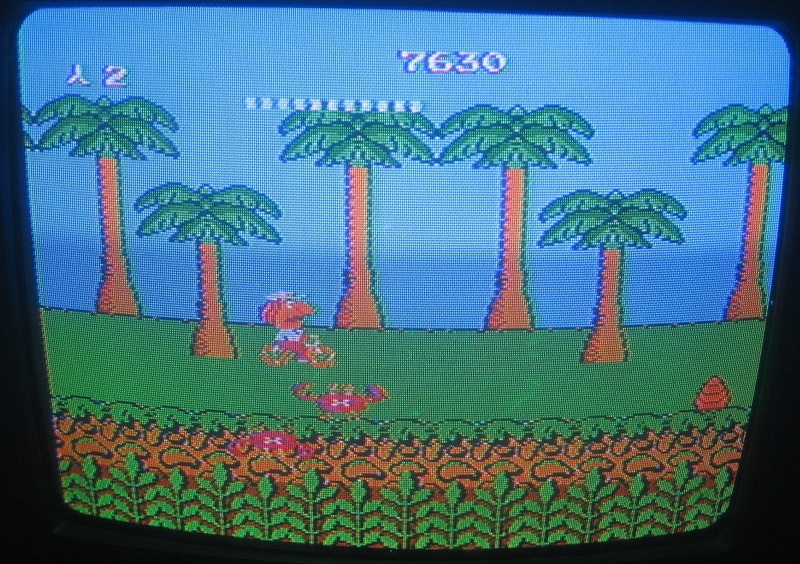 A few months later this dog did have his day though, and for about $30 I wound up with a boxed Turbo Game Doctor 4+ on my doorstep. 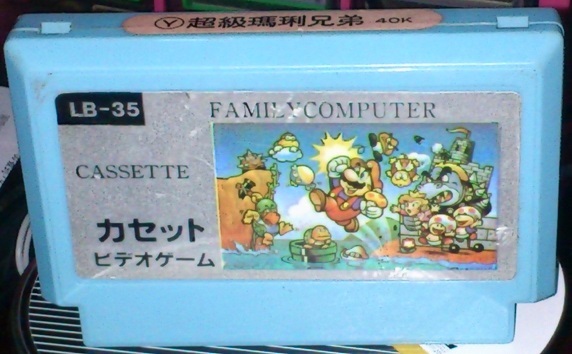 To run that beast though, I also needed a standalone Famicom Disk System, since it wouldn’t work properly on a Twin Famicom. 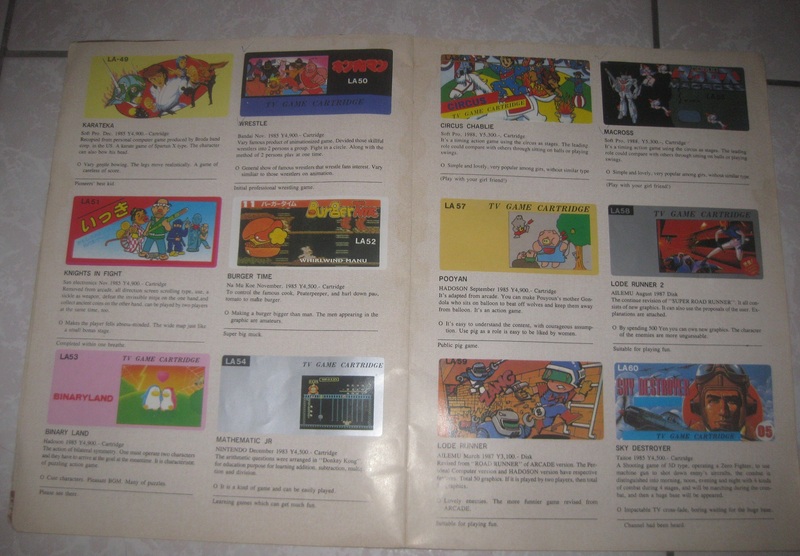 I dropped another $60, and once the final piece in this crazy setup arrived, I would once again plop down in front of the TV, eager to unlock the mysteries of the Indonesian disks. 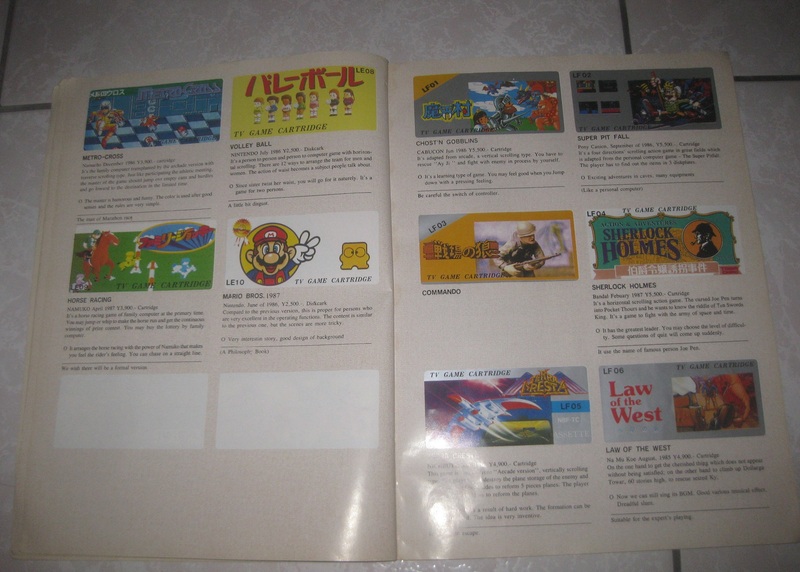 The first game I would pop in would inevitably be one titled Mario Castlevania, according to the handwriting on the disk. The artwork for this game is quite amusing in itself. 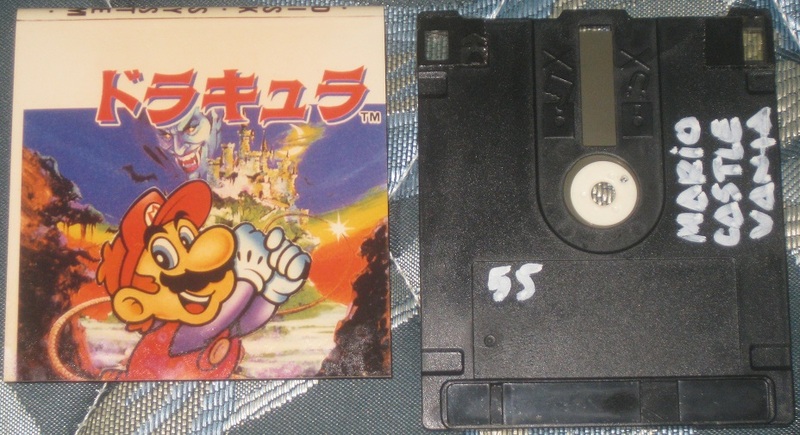 Mario, apparently stolen from the cover of Mario Golf Japan Course, has raised his hands again to swing something. Instead of a club, he decides to take on a new profession – that of a vampire hunter! It is time for our favorite hero to enter the world of the undead, the world of Dracula and the Belmonts. 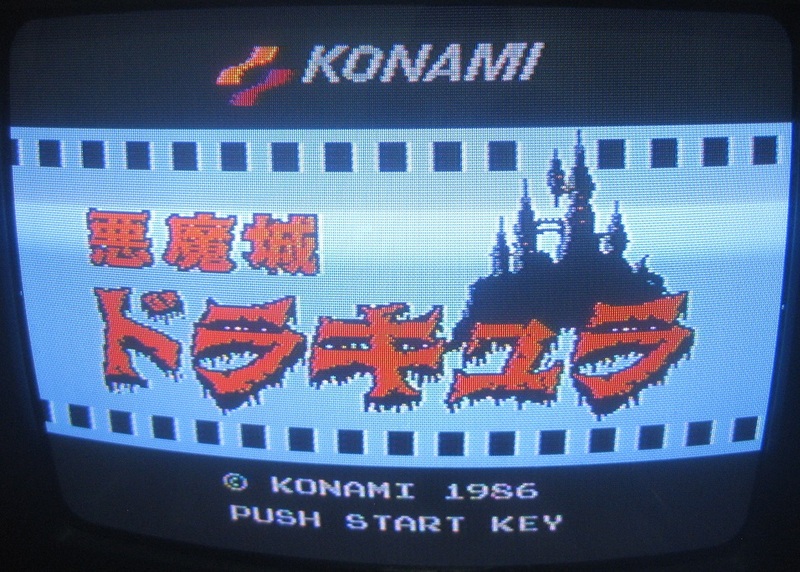 As the game loads up, I am left unfazed, as I see the familiar Castlevania title screen. 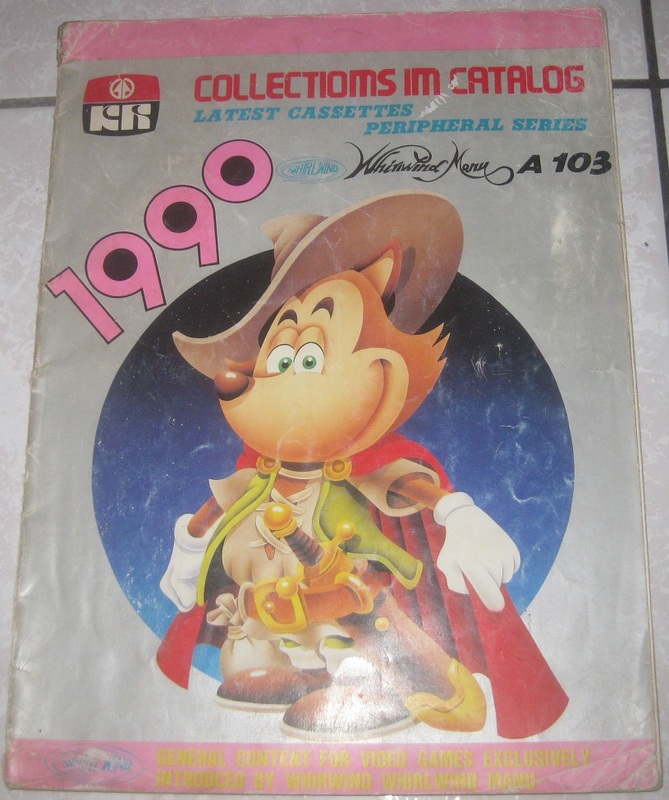 Judging from the cover art of Mario Castlevania, this comes as no surprise. I then choose a file and it is time to get going! 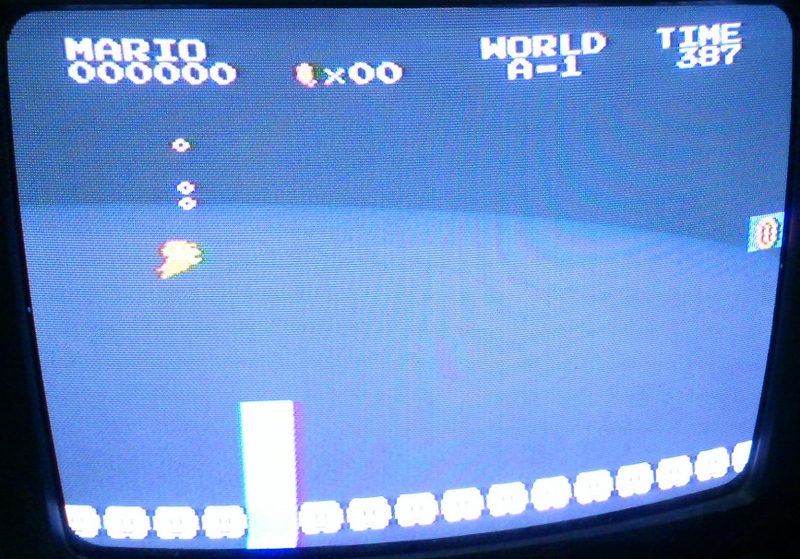 Although his description of Mario Castlevania is pretty much spot on (the only difference between this game and the original Castlevania is the Mario sprite, nothing else has been changed), the game does not terminate after level three. The fun continues up through the final battle with our favorite vampire, Dracula (sorry Edward, move over). 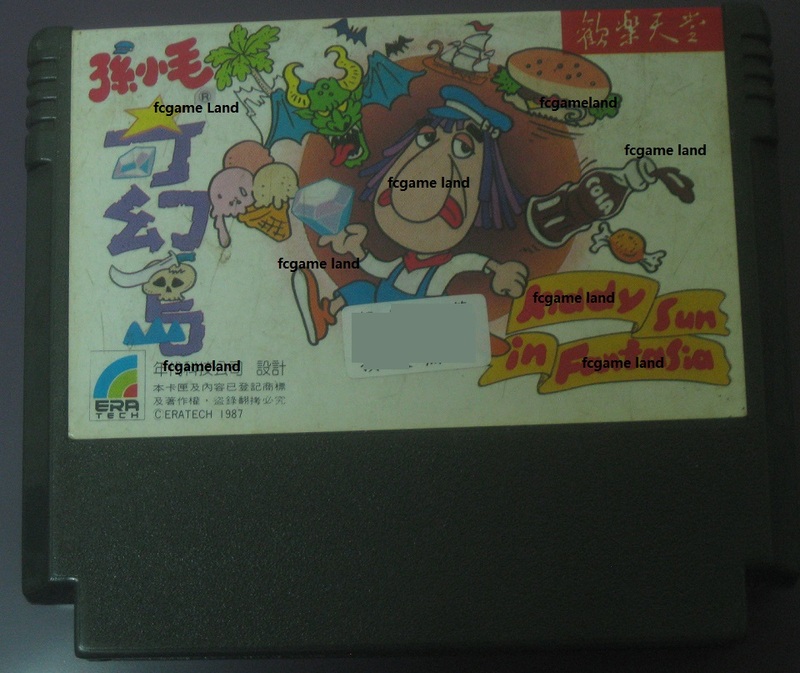 Despite the minimal changes to the game, this is easily one of my favorite Famicom disks, as it basically encapsulates everything I love about the Famicom in one game, namely a fun game, bootleggers with a great imagination that are also lacking in ability, weirdness, and obscurity. Nice! 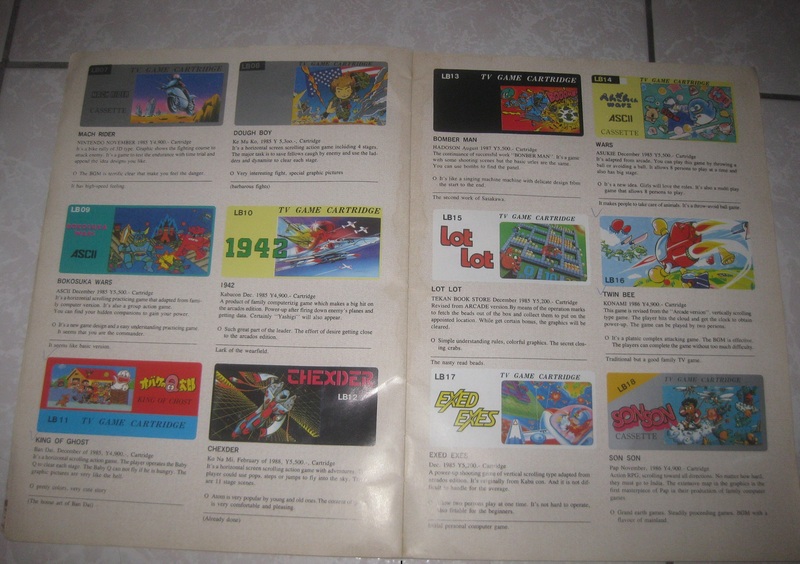 Scanning through the large pile of games, the next disk that caught my eye would be number 59, Mario Zelda. 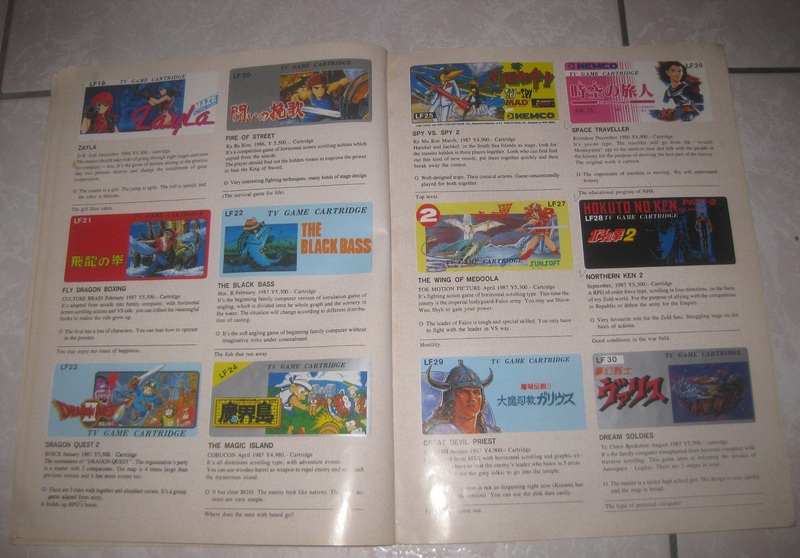 Unlike Mario Castlevania, which I had read about before (and was ironically enough the sole reason that I purchased this particular lot of games), I had never seen anything of this Mario Zelda game. 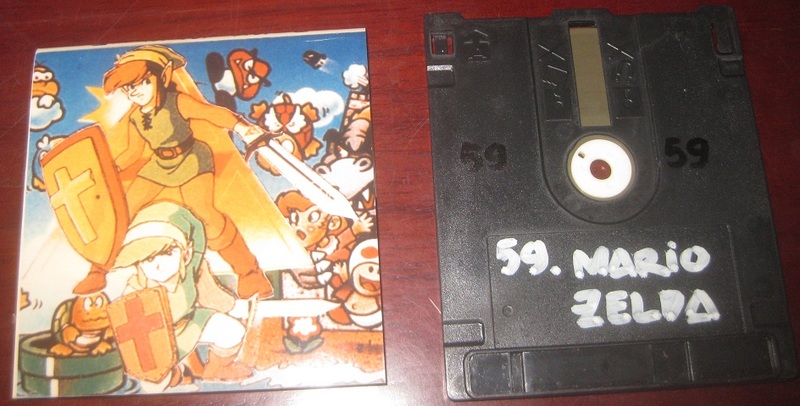 The artwork showed Link photoshopped in Mario’s world, but alas the disk gave me an error when loading it. And it had given me an error message the next time I tried to play the game, and the next time. For two years I tried to load the disk and for two years I lost sleep over the contents of disk. I am being completely honest here, without any embellishments. 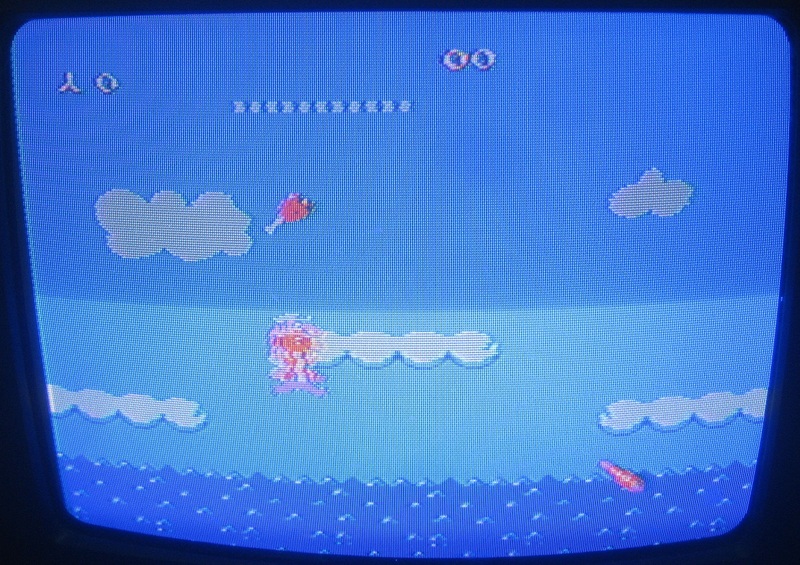 Before writing this article, I decided to pop the game in for another try, just in case, and low and behold, the game loaded this time! 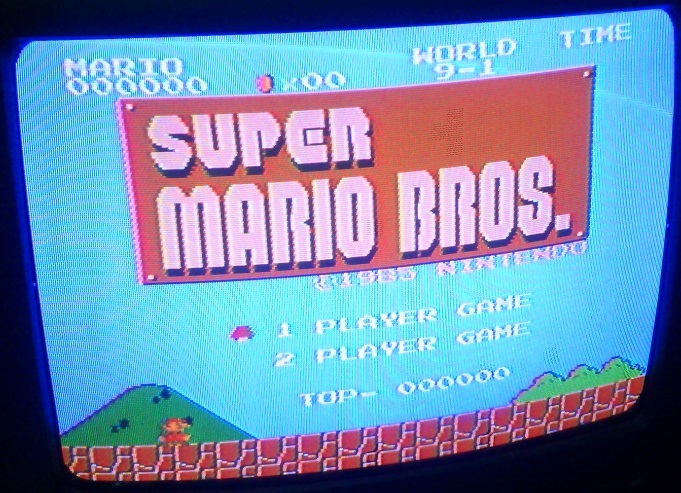 As to be expected, I was greeted with a familiar sight, the title screen for Super Mario Bros. 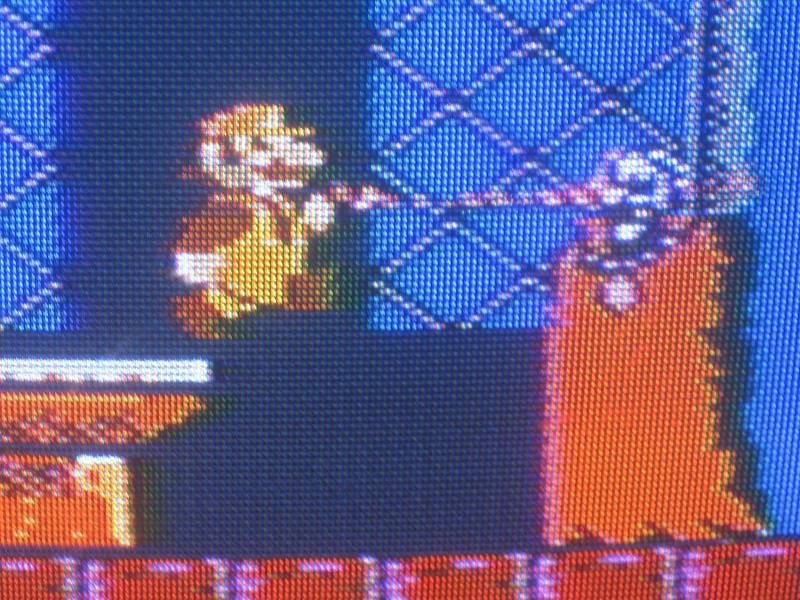 It seems that when Mario went to Transylvania to save the humans from Dracula, King Koopa slipped in to the Mushroom Kingdom and made off with the princess. Since Luigi is such a coward, Toad and the other mushroom retainers had no choice but to ask Link to be their substitute hero, and he answered their call. 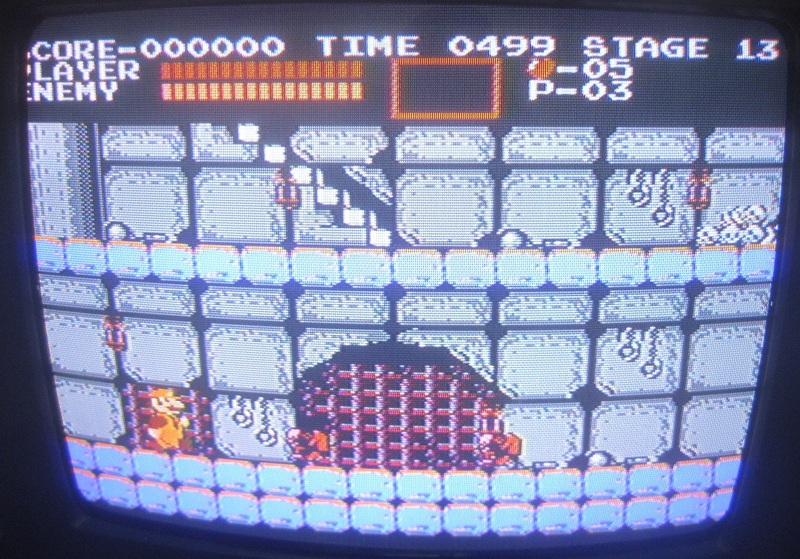 Mario Zelda is quite similar to Mario Castlevania. 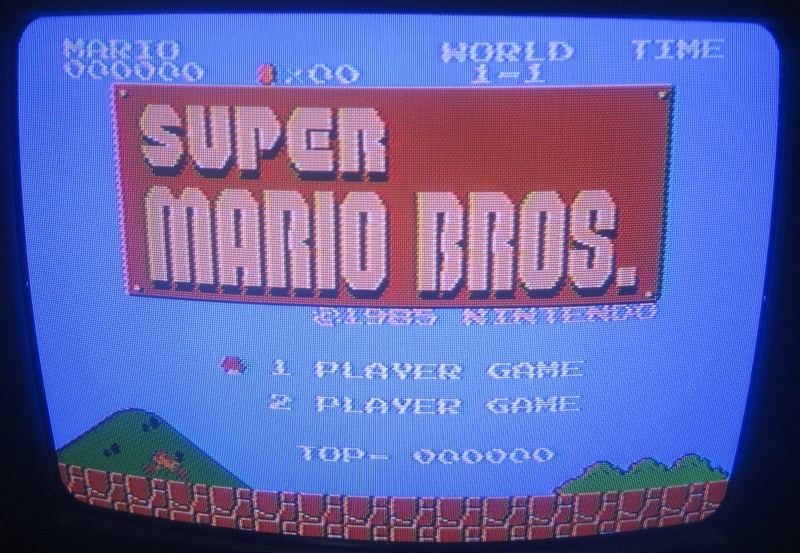 It is just a generic hack of Super Mario Bros., where Link is stuffed into the game instead of Mario. 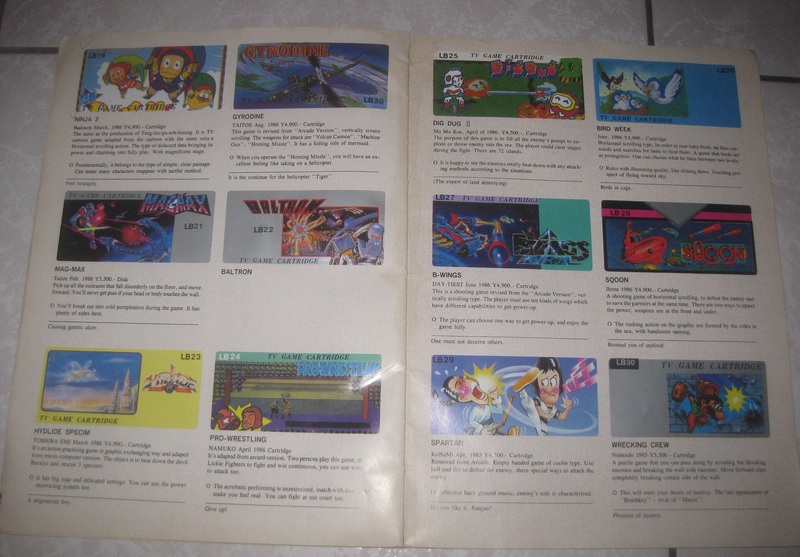 Unlike the Castlevania game though, there are some interesting points about this game. To begin, Link’s sprite looks normal when he is walking, but if he stops to take a rest, he suddenly turns into this two-headed demon. 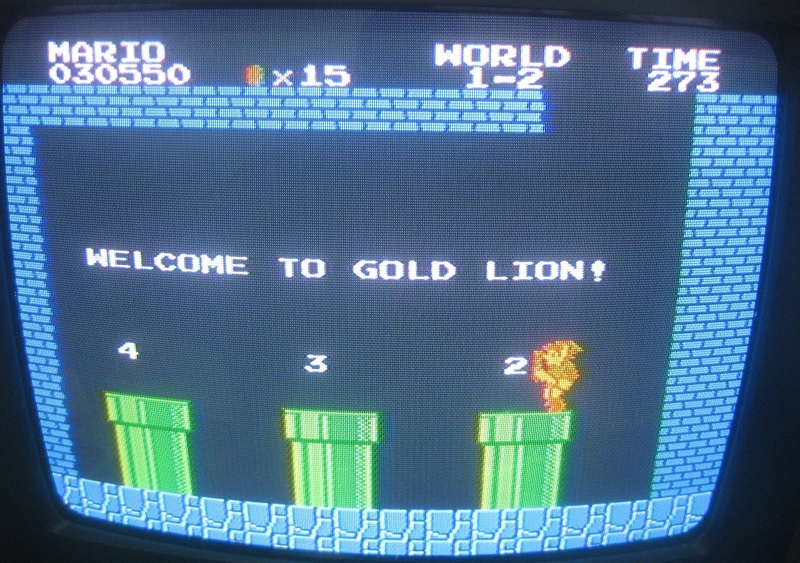 Instead of going to warp zones, Link prefers to go to the Gold Lion. Is this sort of like a Purple Ganon? 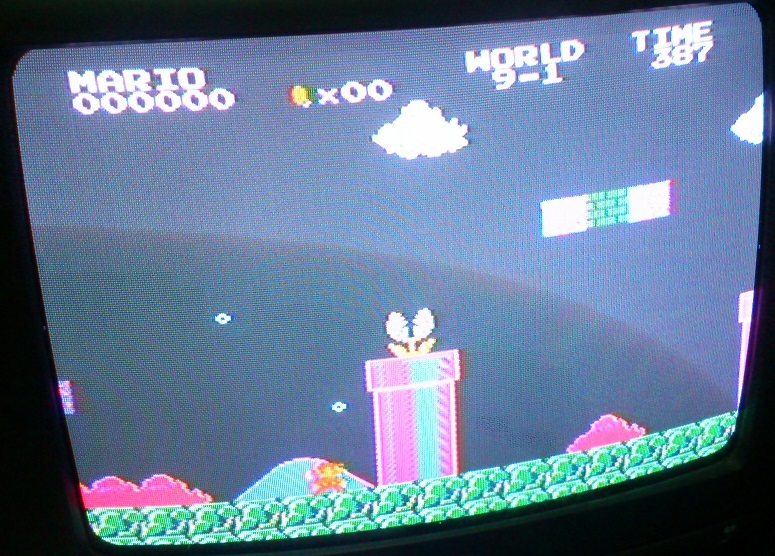 And at the end, when Link rescues the princess, she refers to him as Mario. 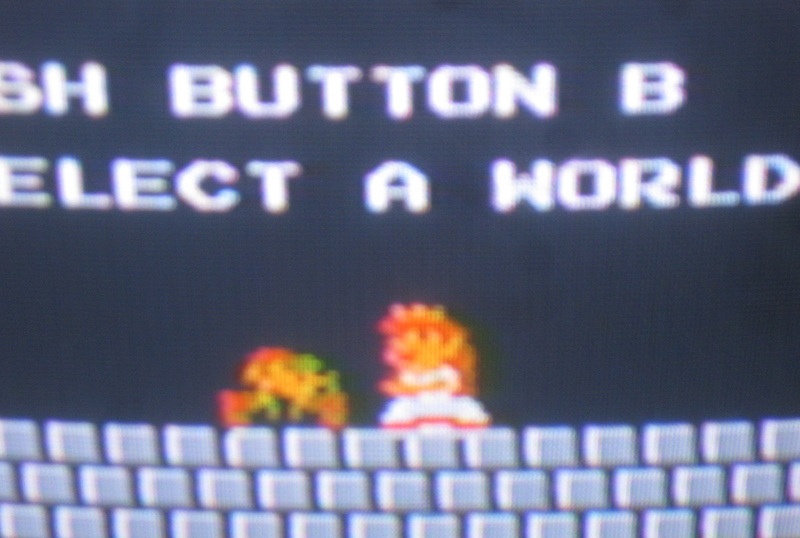 Did Link drug Princess Peach just to score her, while Mario was away on his other adventures? I guess it is hard to say, since people rarely discuss this chapter in Link’s life. 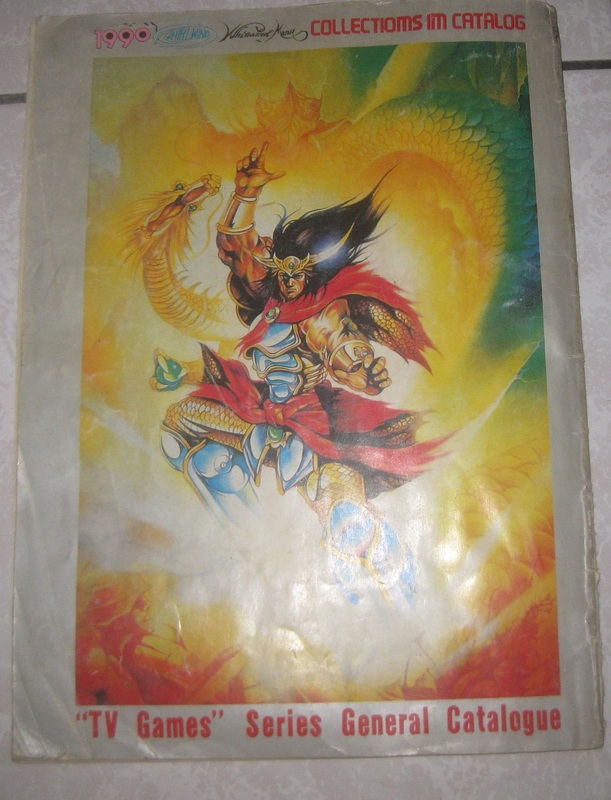 The last game of particular interest was Aladin Ekivalen. In Bahasa Indonesian, the words just translate into “Equivalent Aladdin”. 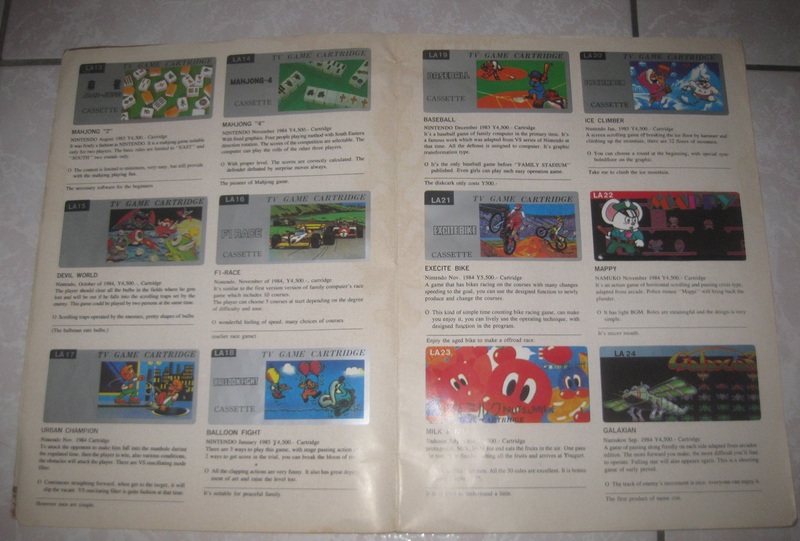 The artwork itself depicts Subcon, and I can see Wart and Mario duking it out, with the Konami Man and other Konami characters joining the fray. To my disappointment, thus far when loading up the game, I only get error 27 messages, so until the disk cooperates with us, I guess we don’t get to know what sort of greatness this disk holds.